This is another awesome cover from the talented mouse of Whit Holcomb. 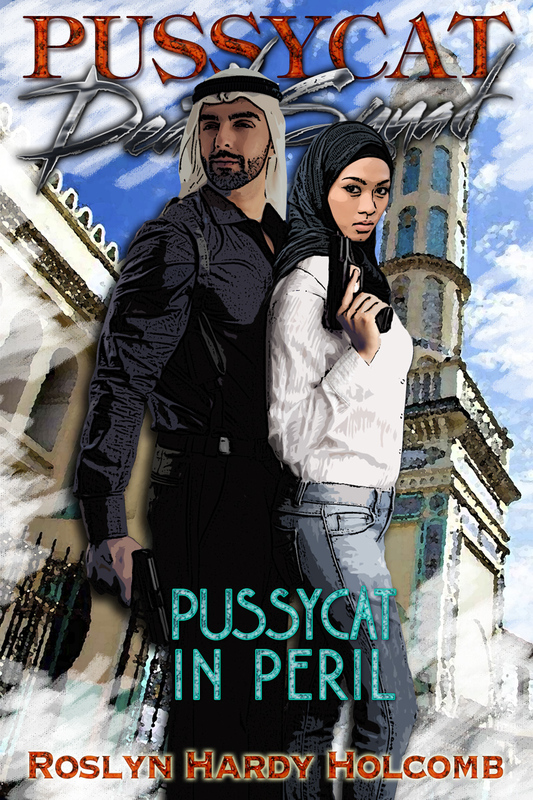 The hero of this story is Egyptian-American and the heroine is from the mythical country of Laritrea. I took a few liberties with this cover. For one thing, the hero is wearing a keffiyeh. This is a throw-back to those old eighties “sheikh” romances. North African Arabs don’t typically wear this headdress, but I liked the look and the bit of nostalgia. The mosque in the background is actually in Algeria. As the country of Laritrea doesn’t exist, I don’t think using a photo from another country does any damage, as long as I acknowledge it. Exiled from her homeland and fearing for her life, Astaria was forced into a marriage of convenience. Now the political situation in her country has worsened and she returns in an effort to save her family. Kaeden is a Marine who specializes in hostage extraction and now he faces his most difficult mission; rescuing his wife from certain death and even more dangerously, sharing his love for her. Together they face almost insurmountable odds for love and for life. Next Post Just in Time For Memorial Day!